Sivalya was born in 2012 based on the philosophy of creating a vibrant community of fashion and beauty enthusiasts who strongly believe in a sustainable, ethical and purposeful lifestyle. We hope to be the catalysts of modern fashion styles with spiritually inspired creations that are produced sustainably and ethically. While we provide economic and cultural support to grass root artisans, we cannot stand to ignore the harsh reality and plight of children in India who are forced to spend their lives on streets. Steeped in poverty and social stigma, numerous babies, mostly girls are deserted at birth by their parents. These girls are often picked up by street gangs who use them as human assets in begging rackets and much worse. It is a sad reality today that as we strive to reach the realms of outer space, we cannot guarantee basics or take care of the most vulnerable children in our own world. In 2012, little did we know, that a self discovery trip to India will turn into a cause-centric business venture, extremely close to our hearts. While visiting a local bazaar, we came across a little girl, no older than six, begging alone half naked on the side of a street. We invited her for a meal and discovered her horrifying story of suffering and abandonment. Unfortunately, she was not the only one in that situation, in the city of Bangalore. Starting that day, we vowed to make a difference and save as many innocent lives as we possibly could. By accident or then maybe not really, we came in contact with Paul Wilkes, founder of "Homes of Hope India" and a movement was born. Today, our team actively raises consciousness towards plight of abandoned children and 10% of all our sale proceeds go towards our collaboration with Homes of Hope India. Over the last five years, with your help, we have saved hundreds of girls from a dark life on the streets. 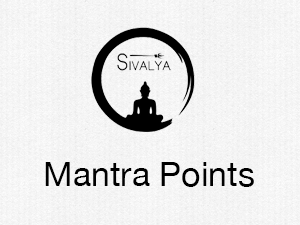 "Sivalya" (SIV-A-LYA) is Sanskrit for "Home of God". It is our endeavor and our pledge to save the lives of young as many abandoned girls as possible and provide them a safe home with our network of missionary nuns and volunteers. They work selflessly and with unbound passion and daily grit to raise these young girls with food, shelter, education and most importantly Love. Till date eight “Homes of Hope” have been completed in India and ninth is currently underway. Learn more about it here. Do not wait for leaders, do it alone, person to person. Be faithful in small things because it is in them that your strength lies - Mother Teresa.